We’ll start with an opening reception on the evening of Wednesday, Aug. 26, and offer a packed agenda of speakers and conversations that continues through noon Saturday, Aug. 29. Topics that are likely to be on our agenda: money making ideas to take home, new tricks for those moving into more digital content (everyone, right? ), new storytelling techniques that resonate with digital readers. And much more. We’ll stay at the College Park Marriott Hotel & Conference center on the University of Maryland campus. 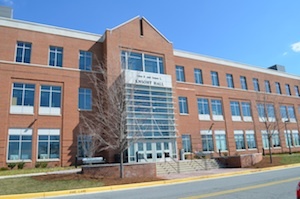 Conference sessions will be in the impressive Knight Hall in the Philip Merrill College of Journalism in College Park – just a short walk from the Marriott. We’ve arranged for a block of rooms at the Marriott with a rate of $149/night for a king or $159/night for two queens (an affordable option for attendees who want to share a room and share the cost). We’re planning an outing one evening for kicks, but this is a roll-up-your-sleeves conference that promises lots of ideas and content for SFJ members to take home and put to use right away, whether your biggest challenge is boosting revenue, creating better content, or learning new tricks to connect with online readers. Our conference registration cost will be $250 for SFJ members who make the early bird deadline (to be determined). Non-members pay $350, as do members who register right before the conference. We’ll celebrate great work by honoring journalists from around the country who are winners in our SFJ contest. Yes, you still have time to enter our contest this week at our website,featuresjournalism.org, and claim one of the $300 checks that go to first-place winners. The deadline is Friday, April 17. The contest is open to print and digital journalists, including college students. Our newest category added this year is for sports features. But you’ll also find a good variety of categories to recognize features appearing in any section, interactive packages, videos, best sections, niche products and more. Enter your staff’s best work in our contest and come join us for an energizing, educational conference Aug. 26-29 in Maryland. This entry was posted in Digital tools and tagged 2015 conference, SFJ contest. Bookmark the permalink.